I stopped at a Mobil station the other day to fill my gas tank. I've done this countless times, so I pretty much do it without thinking. The only thing I might concentrate on is a bug stain as I try to clean the windshield. And, oh yeah - the price of gas. But in a way, paying for gas is less painful than it used to be. Pay-at-the-pump technology, now commonplace, makes the transaction quick and easy. This is always a good thing when a business want its customer's money. Do you remember the days when you had to go into the station to pay? That would be back in the early 1980s. 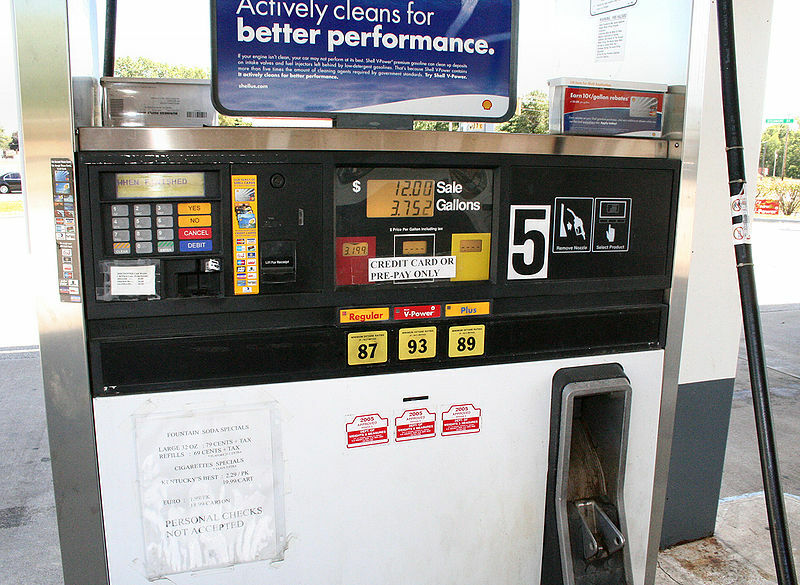 This system caused gas stations a big problem - "drive-away customers." These were people who filled their tanks and instead of going into the station to pay, they'd simply drive off. Yes, this passive-aggressive behavior was a crime, but enforcing it was nearly impossible. And it made it hard for many stations to turn a profit. This cultural phenomenon was a big problem for the gas companies. But as chance would have it, I played a role in solving it. Back then I'd occasionally contract as an adjunct trainer for the Center for Creative Leadership (CCL). Their headquarters is in Greensboro, North Carolina, and they had just opened a new branch office in La Jolla, California. One of their first course offerings in La Jolla was the "Targeted Innovation" course, and they wanted my help. The course taught the process and techniques of team creative problem solving. Towards the end of the course, we asked participants to come up with new solutions for a real problem that was challenging their company. Three of the participants happened to be brand managers from Mobil. Their problem? You guessed it: drive-away customers. I remember that as they followed the process, they came up with several dozen ideas. But when they considered the notion of making people pay at the pump with credit cards, their eyes got real big. Although the idea of paying at the pump had a serious downside - all of the pumps in the Mobil system would need to be replaced - they came up with a plan. When they briefed it on the final day, they claimed they were going to implement the system with several stations as a pilot project. Well, the rest is history. The concept was so successful that they expanded it, and all their competitors adopted it, too. It took a couple decades, but eventually pay-at-the-pump became the industry standard nationwide. So, the next time you fill up, forget about the pain it's causing to your pocketbook. Instead, think about the convenience! And remember that I - your blog buddy - was there to help seed the idea with Mobil over 25 years ago. It's cool to reflect that actions always have consequences, and if you're doing your best to contribute something of value, sometimes you can have an unexpected impact down the road. So once again, I'm a minor footnote to history! You're not a minor footnote in my eyes, Denny. How about that? Wild. I love pay-at-the-pump in the cold Ohio winters.